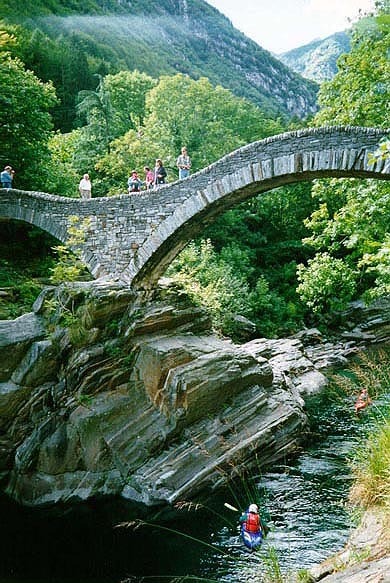 The two-arched 16th century bridge at Lavertezzo made from rocks - universal material here. Swiss know how to build properly. In Zermatt, for instance, some chalets are 500 years old!